-A 50 year old male was admitted with complaints of intermittent fevers, cough, anorexia and general malaise since 8 weeks. 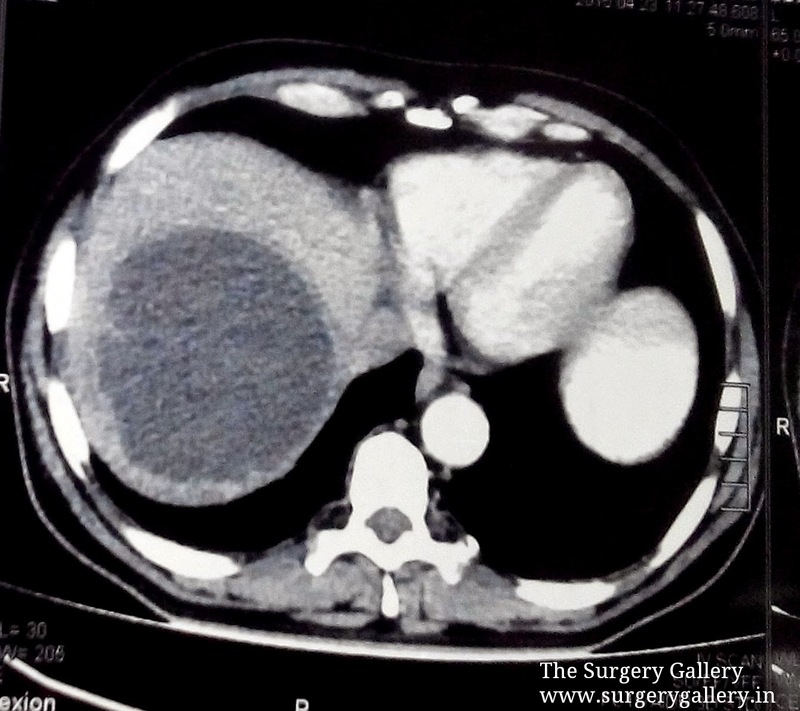 The patient was a known Chronic alcoholic and a chain smoker. There were no positive findings on fever workup and general investigations except that hemoglobin was 9.1 g/dl and ESR was elevated. 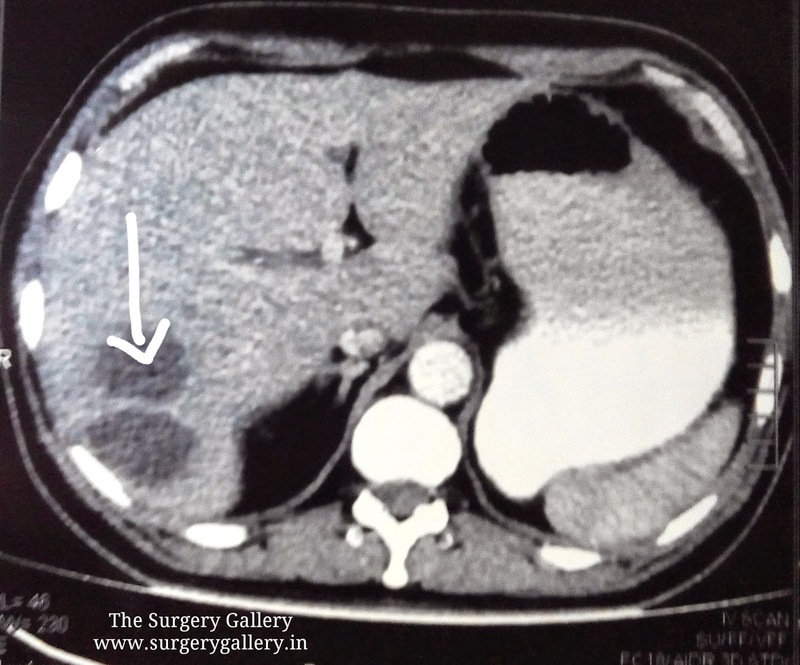 USG Abdomen revealed a large liver abscess. Empirical antibiotics were started. -BT/CT and PT/INR were within normal limits. USG guided pigtail catheter placement and drainage was done. -Currently 4-6 weeks of therapy is recommended for solitary lesions that have been adequately drained. -Multiple abscesses are more problematic and can require up to 12 weeks of therapy. Both the clinical and radiographic progress of the patient should guide the length of therapy. -Although the primary mode of treatment of amoebic liver abscesses is medical, 15% of amoebic abscesses may be refractory to medical therapy. -Also, secondary bacterial infection may complicate up to 20% of amoebic liver abscesses and hence drainage may be required in many patients with amoebic liver abscesses. -Percutaneous drainage is now considered the treatment of choice for most intra-abdominal abscesses and fluid collections.